"Former L.A. prosecutor Clark kicks off a promising new series with this top-notch whodunit...Clark sprinkles jaw-dropping surprises throughout and impressively pulls off a shocker that lesser writers can only envy." "[Clark] has the start of another successful series in this page-turner featuring a ballsy protagonist with a secret past." "Clark's deft handling of her characters through a multilevel maze of conflicts delivers an exhilarating read." "Blood Defense is a suspenseful page-turner that will have you on the edge of your chair." 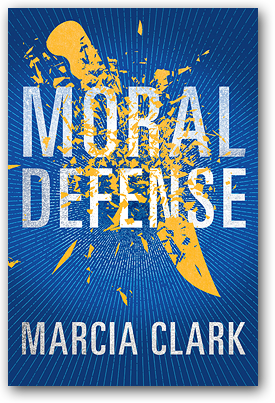 "Moral Defense by former Los Angeles prosecutor Marcia Clark has it all: a hard-charging lawyer heroine, tough-as-nails cops, realistic, yet somehow lovable 'bad guys,' as well as fly-by-the-seat-of-your-pants pacing and page-turning twists." 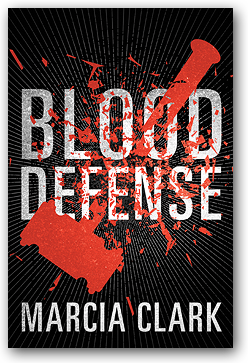 "In Clark's outstanding sequel to Blood Defense...[She] deepens her already fascinating lead, while adeptly juggling several subplots." "This second in the Brinkman series (after Blood Defense, 2016) is a nonstop ride marked by legal and moral gray areas, with a cliff-hanger epilogue. Another Clark legal thriller that's hard to put down." "A murdered family leaves only one survivor in this second roller-coaster case for Los Angeles attorney Samantha Brinkman...[The case] builds to a rare intensity." "Clark's formidable experience lends itself to this exhilarating novel." "It's a complex, tightly woven plot, and as is in the case with all of Clark's novels, the page-turning journey—through sensitive and controversial issues—to the surprise ending is not without considerable twists and turns..."
"...you'll be thrilled with [Marcia Clark's] second Samantha Brinkman mystery, Moral Defense, in which your assumptions as to whodunit will be wrong. This book has a complicated moral compass and an ending you don't see coming." "Samantha Brinkman, Clark's flawed but sympathetic L.A. defense attorney protagonist, must deal with more than one explosive case in her highly suspenseful third outing... Clark keeps up the frenetic pace, but never allows the plot's tricky developments to overwhelm her characterizations." 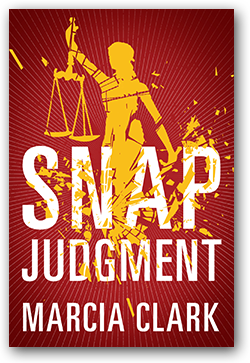 "[A] twisting plot informed by Clark's legal know-how will keep readers turning pages." "Fans of Clark's legal thriller series featuring defense attorney Samantha Brinkman will be pleased to learn that this third installment (after Moral Defense) continues to deliver fast-paced plotting and savvy style laced with a healthy dose of humor." "Propulsive plotting, visceral action, dexterous dialogue, and a palpable sense of time and place all conspire to make for an undeniably exhilarating read."